I’d like to open up an interactive opportunity for our SITFFR Foundation membership and readers of the Uplands West series. Rather than my usual story format, I am including this first annual hunting report along with an invite for members to contact me and discuss any of the topics covered within. 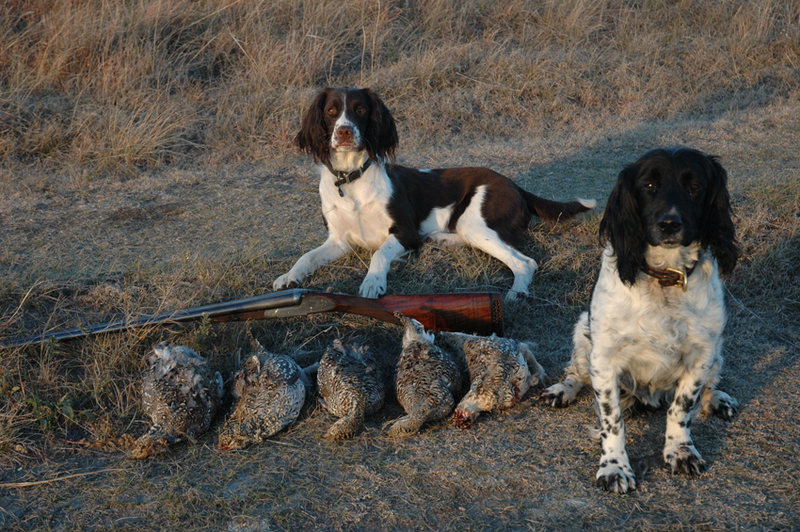 Hunting with these awesome gundogs is my passion and is central to my report. And… living the sporting life is far richer when shared! I’ll continue to contribute some of my best photos from the field for your enjoyment. Please feel free to call or text me at 303-250-0302 to share your adventures and photos as well as pose questions related to topics like: unraveling the mysteries of grouse, where to hunt, exploring new game bird species and new hunting areas, spaniels and flushing retrievers. 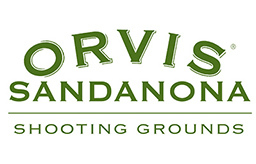 Autumn… early season hunting, September: When I first arrived in the west, I focused my September hunts on doves, where the daily bag limit is 15 and my spaniels experienced many bird contacts. 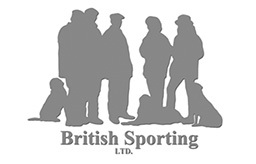 As I have aged, I believe my sporting life adventures have refined and as a result have become laser focused on grouse hunting… any grouse species! Now September first finds me at Mountain Grouse Haven in the Colorado Rocky Mountains in pursuit of Blue grouse, North America’s largest forest grouse species and the rare Columbia Sharptail grouse, the smallest sub-species of Sharptail grouse. I hunt them both from the same mountain camp. Click: http://www.spanielsinthefield.com/2016/03/08/spicy-sausage-rigatoni/ for more info and the story behind bagging both of these fabulous grouse species on the same hunt. Autumn 2017 found me scrambling to find good numbers of Columbia Sharptail grouse, while Blue grouse seemed to be everywhere. I believe grouse that make their home in open country and covey up in the cold also are partial migrators and move miles to different areas depending on their needs. There was a ton of hunting pressure in the traditional Columbia Sharptail areas, so I completely relocated my camp and found another area untouched by hunters with plentiful numbers of both mountain grouse species. Several times, my group took both Blue grouse and Columbia Sharptail grouse on the same hike! The highlight of my September adventures was hosting a hunt for Steve Liebherr and his son Corbin. They have a very small 25# ESS named Winston who is an absolute dynamo in the field! Corbin could not miss… providing lots of retrieves for Mr. Winston! Our adventure together produced a total of 27 grouse bagged! One grouse in particular is worthy of mention, if not a stand-alone story for another time. Steve and I both shot simultaneously at the same fast fleeing Columbia Sharptail grouse over water no less and from a staggered flushing covey of a half dozen. I saw the bird falter in flight and knew it was hit… Steve did too. The bird even appeared to be going down behind some pines and oak brush. We looked for a long while… not giving up. We even took a break at the car. I was out on one last search and retrieve mission with the dogs when Corbin noticed feathers sticking through the crack of the open rear hatch on roof of my 4Runner. 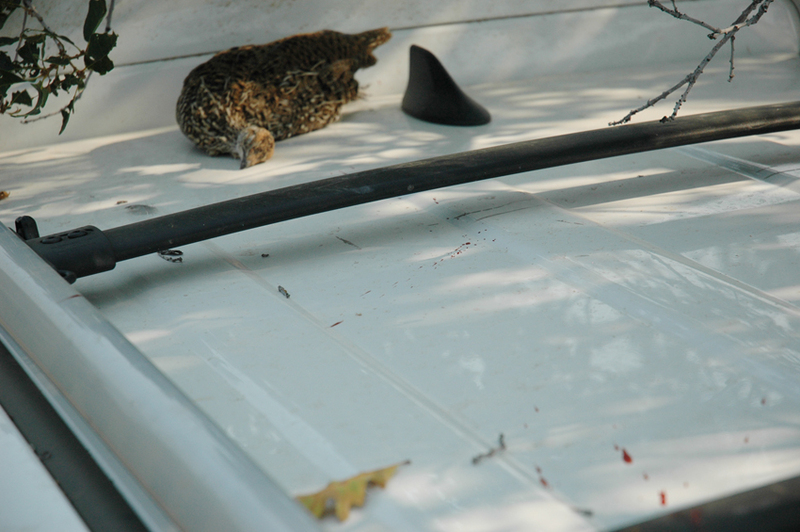 That wounded grouse had actually crash landed, skidding across the roof of the SUV leaving a blood trail on white paint… finally coming to rest against the open hatch door! This moment is one I won’t soon forget! Hunting with this father and son team was very rewarding and brought back fond memories of hunting the uplands with my own sons. 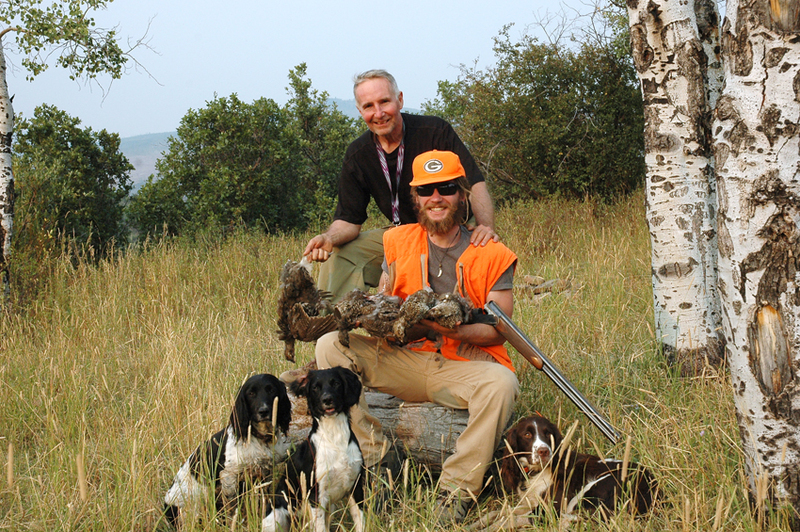 I absolutely love this hunt at Mountain Grouse Haven, especially because of the magnificent setting… camping out, hunting with my spaniels in the mountains and watching the aspens color up as the autumn presses into the fall. 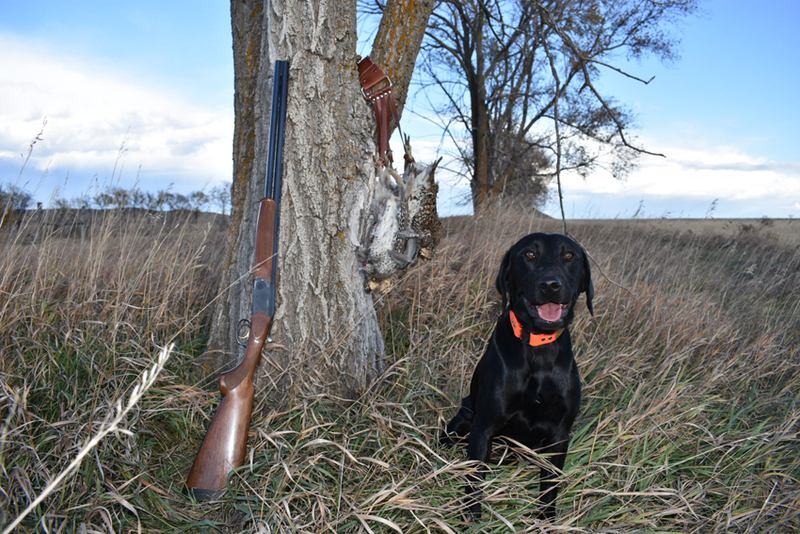 Fall… Midseason hunting in South Dakota, October/November: I have always believed in hunting where the birds are and few places compare to South Dakota for sheer game bird numbers. I grew up hunting Ruffed grouse in Wisconsin, but when I moved out west I like many of us flocked to pheasant hunting for the absolutely insane number of birds! However, over a decade of shooting there, my sporting life evolved and became much more refined. Now, I only take wild roosters incidentally while grouse hunting. 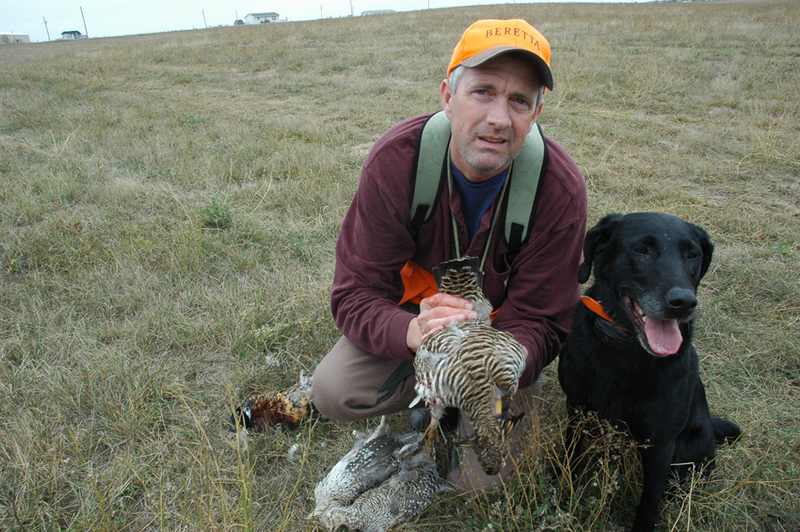 In particular, I love chasing Greater Prairie Chickens, with the ultimate pursuit bring that of the mature male prairie chicken or “Boomer” as I prefer to call them… he is truly a trophy bird! I believe the ultimate upland trophy is bagging a Double Boomer, which can be accomplished after the birds covey up and the mature males satellite together off from the main covey. There are also tons of Sharptail grouse here in south central SD, in a place we call Prairie Grouse Haven! 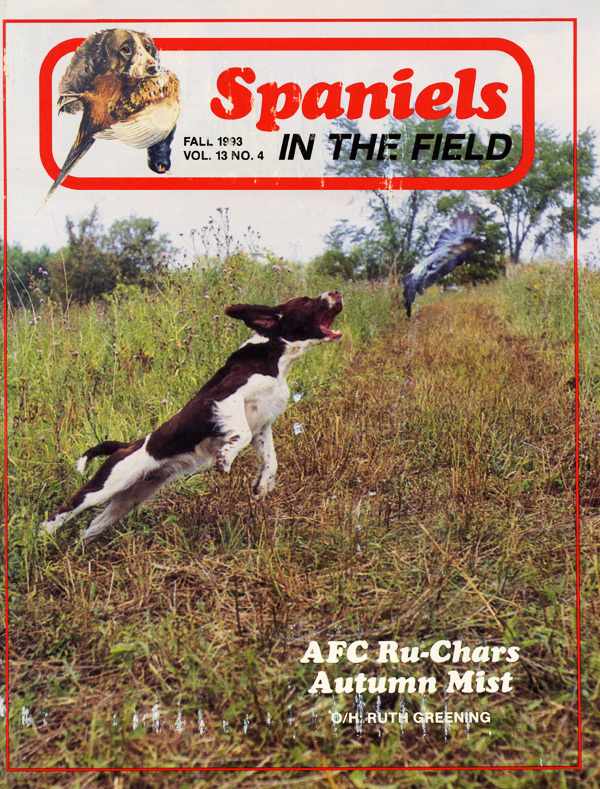 To read more, click on: http://www.spanielsinthefield.com/2017/08/02/boykins-first-big-boomer/ or http://www.spanielsinthefield.com/2016/01/31/through-the-eyes-of-another/ for stories about hunting both of these challenging prairie grouse species. Highlights from this fall’s hunt include hosting a hunt with Stuart Derrow and his two incredible labs, Delta and Willa. Just 17 months old, Willa flushed and retrieved her first prairie grouse and wild roosters on this adventure! One day, according to Stuart’s Apple watch, we actually hiked 17.25 miles grouse hunting!! Sketchy weather like rain send prairie grouse into hiding and while we did bag our grouse, we also missed a bunch too… especially me. 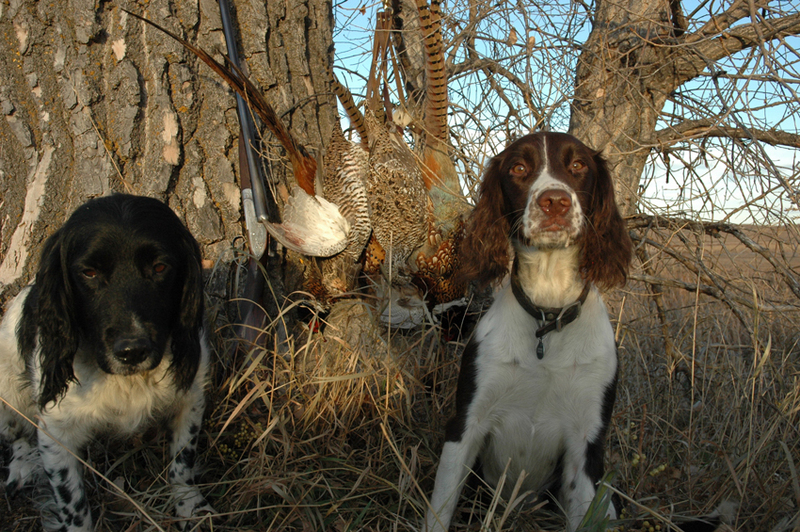 That same day, I was fortunate enough to claim a Sharptail double… barely, but only with Willa’s help. I put just one pellet in the first bird and it flew past me wounded right in front of my empty barrels and landed behind Stuart. As Sunny, my pup, retrieved the second sharpie, Willa caught the wounded bird in mid-air as it tried to escape! A day or two earlier on our hunt, I also managed a chicken double… both Boomers, one adolescent and the other a more mature male… my third lifetime Double Boomer! Stuart came to Prairie Grouse Haven with a bucket list item… bag a big Boomer and while he has accomplished this, he keeps coming back. 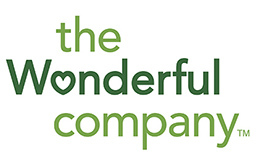 It must be the mystique of the Rosebud and its majestic prairie landscapes. Or… it could be the camaraderie? Stuart is an excellent game shot and always bags way more birds than I do, but for sure, we both enjoyed grand adventure together! A few weeks later, I managed something I have never done before. Sunny and Fiona flushed a covey of a dozen Sharptail grouse and they flew into the wind. I missed my first shot and at the report, more birds got up. As I swung my London double onto the closest grouse, I noticed another bird crossing in behind. I waited the additional second it took for the birds to line up… then pulled my full choke barrel… they both dropped into native grass! A one shot double… a first for me on sharpies. Both dogs were blessed with a retrieve… together! 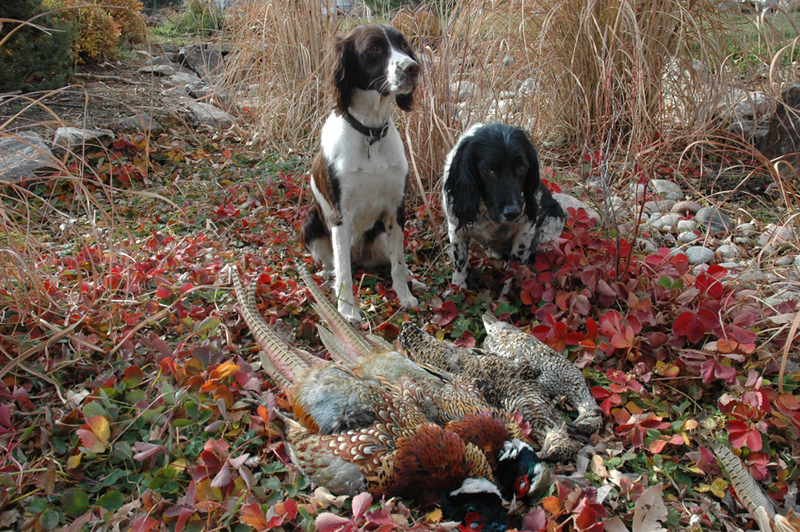 Colors of fall… Sunny and Fiona show off the three gamebird species found at Prairie Grouse Haven. I was lucky enough to be in South Dakota more than usual this fall as I now have my SD real estate license and as a bonus, I have several “Best” hunting properties listed for sale! If you are interested in checking this out, I am happy to talk to you about any of these beautiful hunting properties and or a possible hunt there. By the way, I have some awesome hunting photos mixed in with the landscape photography to catch your eye. Click on: https://www.haydenoutdoors.com/agent/scott-winston to see my listings. 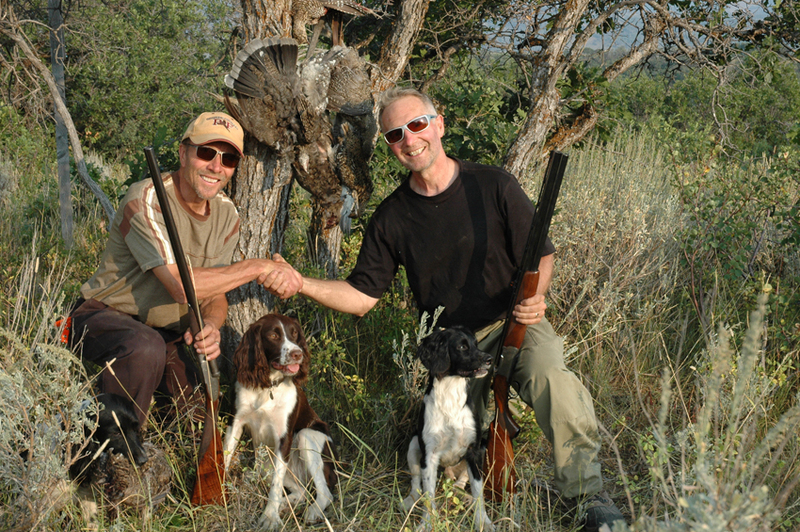 There are three awesome hunting properties listed: two turn-key pheasant hunting operations, Moeller Farm, Ranch and Hunting and Rock Creek Ranch. 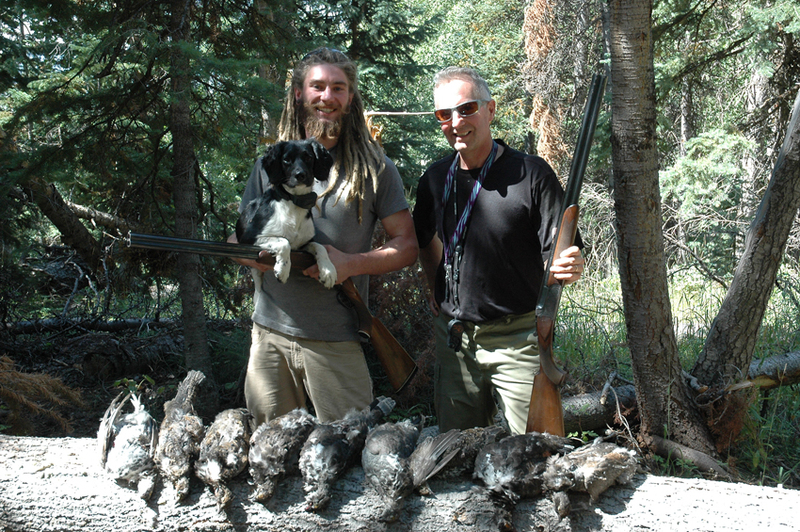 I also have a SE Colorado quail hunting property… Quail County Hunting Retreat…. Check these out!